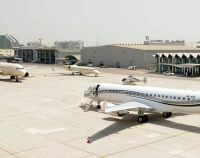 Al Bateen Executive Airport, Abu Dhabi’s dedicated private aviation airport, is taking the lead in promoting the UAE as the hub for business aviation in the region through announcing an attractive offer during the Etihad Airways’ Formula 1 Grand Prix, the final race of the 2010 season. 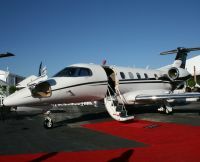 The executive airport will provide landing and parking services free of charge to all executive jets arriving between 10 and 14 November 2010. 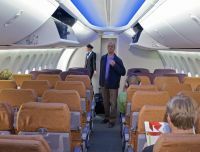 Flydubai has taken delivery of the first Next-Generation 737 with the new passenger-inspired Boeing Sky Interior featuring sculpted sidewalls and window reveals. The ingenious design of the new, larger stow bins allows them to accommodate even more bags than before, while taking up less room and giving a greater sense of space in the cabin. Airlines will select from different lighting schemes that range from a welcoming soft blue overhead sky simulation to a calm, relaxing, pallet of sunset colours. LEDs (light emitting diodes) are brighter and replace incandescent signage, attendant and halogen reading lights. With an estimated 40,000 hours between replacements, LEDs last ten times longer than the previous standard of lights. Airlines with smaller and older aircraft are to be penalised at Heathrow according to a story in the Financial Times last week. It is all part of competing with continental operators. The airport, owned by Ferrovial of Spain, will raise its charges on airlines for passengers flying between UK cities from about £13 to £20, but slash fees by 25% for those who arrive on one aircraft and leave on another within 24 hours. A fee will also be brought in for airlines’ transit passengers who arrive and leave on the same aircraft. The way landing charges are calculated will change so the proportion based on nitrogen oxide emissions will rise from 10 to 15%. Airlines flying quieter aircraft will get discounts. 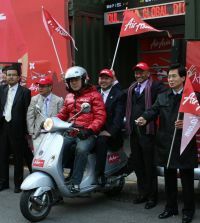 AirAsia X has introduced Seoul (Korea), as the airline’s 12th international long haul destination. The Channel Tunnel Rail Link, now known as High Speed 1 (HS1) has been sold to Canadian money people for £2.1bn. Also put up for sale by the Government last week is 49% of National Air Traffic Services (NATS), the balance owned by BAA Ltd and seven of the UK’s largest airlines. 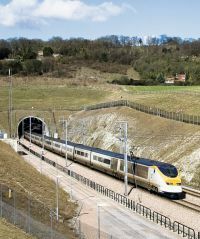 HS1 is the 68-mile long dedicated rail line from Folkestone to St Pancras currently only used by Eurostar and South East Trains Javelin service to and from Kent. The line has stations at Ashford, Ebsfleet and the somewhat misnamed Stratford International, not an international gateway, but the main railway station for the London Olympics 2012. 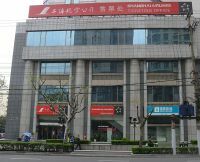 SkyTeam has announced that Shanghai Airlines is to become a member under the wings of parent company China Eastern, which is already in the process of joining the alliance in 2011. China Eastern and Shanghai Airlines merged in February 2009. In June 2010 China Eastern signed an agreement to join SkyTeam. As a result, both Shanghai-based airlines are scheduled to be part of the SkyTeam family during 2011. Shanghai Airlines customers will enjoy SkyTeam alliance benefits including Frequent Flyer Miles across the global network, Elite recognition, priority passenger service and access to more than 420 lounges worldwide. Shanghai Airlines will enter into codeshare agreements with the current SkyTeam members. Olympic Air has introduced a Gatwick – Thessaloniki route. Services are flown on a on Monday, Wednesday, Friday, Saturday and Sunday with a flight time of 3.5 hrs. 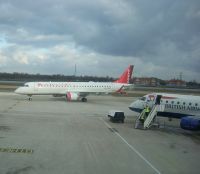 These are operated by Airbus A319 with 120 in Economy and 12 Business Class seats. Thessaloniki is Greece’s second city and is a major port city and an industrial and commercial centre. Being a free port, the city functions as the gateway to the Balkan hinterland. The population is just under 400,000 although the metropolitan area hosts over one million. With British Airways and easyJet on the route, time will tell whether whether Gatwick can sustain three operators. www.olympicair.com. 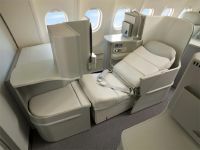 Royal Jordanian (RJ) has completed a comprehensive cabin modernization to the first of its four Airbus A340s serving North American destinations. 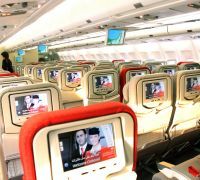 It is the lead airline to equip its aircraft with Seat Integrated Technology (SiT), the new, state-of-the-art Audio Video On Demand (AVOD) In-Flight Entertainment (IFE) system developed by Zodiac Aerospace. Director SiT Operations Eric Cornilleau expressed satisfaction with the fact that RJ is the first airline on the globe to choose the SiT. He said "SiT offers a wholly new ‘simplified architecture’ yielding reduction of the overall IFE system weight, measured with gains of approximately 35%, lowering ownership cost and limiting integration costs, and dramatically improving system reliability, assuring system availability for passengers at nearly 100%." Hertz Europe has announced plans to accelerate its adoption of self-service technology by rolling out Self-Service Express touch screen kiosks at selected locations across nine countries in Europe for all customers (not just members-only) who have prepaid for their rental. At the same time Hertz has launched a free reservations application for the iPhone in 18 languages for customers in Europe. Similar to an airline check-in kiosk, the touch screen kiosk collects the customer’s personal information and identifies the reservation. 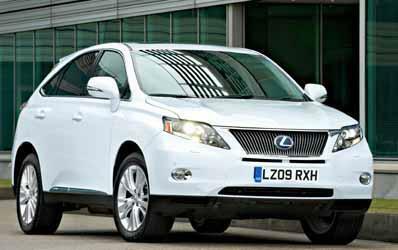 It then completes the rental car pick-up process, sending the person on his/her way quickly. In addition, it allows Hertz customers to select and purchase upgrades, optional insurance and waiver products, fuel options and add-ons such as child seats and the Hertz NeverLost® in-car satellite navigation system. The screens are now available at Bergamo Orio al Serio, Milan Linate, Milan Malpensa, Rome Ciampino, Rome Fiumicino, Pisa (Italy); Edinburgh, Heathrow, Stansted, Prestwick (UK); Malaga (Spain); and Hahn (Germany). 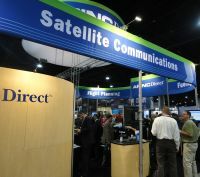 The company also plans to enable the kiosks to accept non-prepaid tariffs in early 2011. 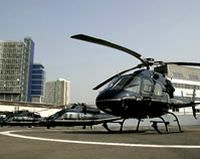 London’s Vertical Gateway, or Battersea Heliport as was known to generations since 1946, is in renaissance mood under the watchful eye of newish owner von Essen, whose portfolio includes the recently opened Hotel Verta on the site and helicopter operator PremiAir. The latest innovation could be what is termed an "executive launch" operation from a pontoon just in front of the landing platform to various downstream points. Possible timings are just over ten minutes to Westminster and 25 minutes to Canary Wharf. “A sort of limo river service,” said PremiAir ‘s Managing Director David McRobert. Baboo (F7), the Geneva-based regional airline, has announced plans to end services to Athens and London City in early November. Swiss remains on the route four times weekdaily, the 1.45hr flight operated by a two-class Avro RJ100. The airline will retain a single Embraer 190 and two Bombardier Q400s. This winter Baboo will fly to ten destinations in total: Bordeaux, Bucharest, Florence, Geneva, Lugano, Nice, Rome, Toulouse, Valencia and Venice. 98% of this network is operated in cooperation with partner airlines, namely Air France, Alitalia, Darwin and Tarom. The Hyatt Regency Pune (India) has now opened, a truly upscale deluxe hotel and residences complex. With 222 guestrooms and suites now available, and 84 serviced apartments scheduled to open in 2011, the sprawling structure has beautifully landscaped outdoor spaces and dramatically lit water features. This premier gateway hotel is situated within the Weikfield IT Park in Pune, it is a short drive from Lohegaon International Airport and ten minutes from the upmarket entertainment areas of Koregaon Park and Kalyani Nagar. Floor-to-ceiling swathes of glass separate the glistening marble lobby from the outdoor water fountains and tree-filled driveway. Each room as a 'sanctuary bathroom' with a sparkling white Italian marble floor, free-standing bath tub and separate walk-in rain shower. Gatwick passengers can track progress of Gatwick's £1bn investment programme by scanning barcodes with their smartphone. 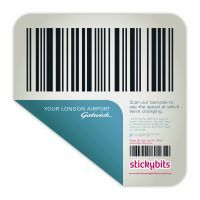 The south London operation is the first airport to interact with passengers using the “stickybits” mobile application. Gatwick Airport is currently undergoing a major upgrade to modernise the facilities and improve the passenger experience. While most of the work is out of sight, hidden behind hoardings, passengers who have downloaded the free “stickybits” application can now go on a coded ‘Gatwick Discovery Tour’ and take an audiovisual peek behind the scenes to see how the airport is changing. Atlanta, Georgia, is the world’s busiest airport hub. 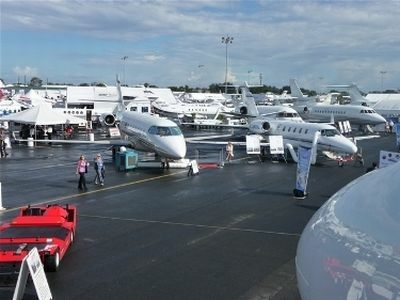 Home to Delta Airlines, Coca-Cola, CNN, AT&T and this year, NBAA, the industry’s largest business aviation gathering. The mood at the 63rd annual convention was upbeat with a steady stream of announcements about new aircraft programmes, powerplants and aerodynamic enhancements to trusted favourites. Bombardier announced two new additions of its Global Express family, the GE 7000 and 8000, stretched versions of its latest XRS to be powered by new GE Tech X engines enabling superior ranges of 7,300 nm and 7,899 nm, respectively, and fast Mach 0.85 and 0.90 cruise speeds. These new aircraft, poised to enter service in 2016/ 2017 are the manufacturer’s direct response to Gulfstream’s clean sheet design, the ultra-long range, near supersonic Gulfstream 650, which made its show debut. 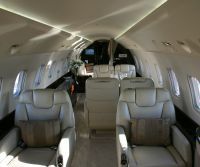 Gulfstream, which presented the aircraft in full production interior, has already secured a backlog of 200 orders to date for the aircraft, slated to enter service in 2012. The earliest delivery position now for the aircraft is 2017. Bombardier Business Aircraft President Steven Ridolfi stated that 4,500 aircraft in this class will be required within the next 20 years and he is bullish about his company capturing 50% of that share – worth upwards of US$200bn. Further, faster was definitely the theme as the business aviation industry takes its lead from the key growth BRIC markets – Brazil, Russia, India and China. “We have had to learn a lot of new geography,” quipped Gulfstream’s Senior VP Marketing and Sales Larry Flynn at a pre-show gathering to select media for a presentation on the G650. Straight after NBAA Gulfstream executives flew to Taipei to celebrate service entry of a G550 with Win Air of Taiwan, Taipei’s first business aviation company. Talk of the show was the 650’s innovative cabin management system by App that sees windows, lighting, seats, inflight entertainment all controlled via iPod touch/iPhone. It is the intention that all current aircraft in the Gulfstream family will have this i-fly technology and eventually have full onboard internet via their i-pads too. Cessna unveiled an enhanced version of its Citation X. The new Citation Ten features a slightly longer fuselage, elliptical winglets and new, more powerful engines from Rolls-Royce. First flight is scheduled at year end with planned service entry in 2013. Hawker Beechcraft unveiled a successor to its Premier II light jet the Hawker 200 and the latest variant to its popular King Air business turboprop family – the 250 – with increased short-field performance that open up a further 1,100 airfields worldwide. BAe Systems was in Atlanta to promote a new version of “the aircraft that never dies,” joked one US journalist referring to BAe 146/AVRO. Joining the go-anywhere Explorer One and Explorer Four concepts, BAE presented its new ABJ ‘Fusion’ interior. This one has been designed for the luxury charter market – for product launches, sports teams, musicians, celebrities and corporate VIPs. Design Q’s Owner/Designer Gary Hoy said the interior, seating 19 passengers and capable of a 1,800 nm range, would be ideal for Los Angeles – Las Vegas sectors. But what about improving on the rather aged exterior appearance of the aircraft? BAE confirmed they were in dialogue with winglet specialists Quiet Wing about potentially fitting the aircraft with winglets, not necessarily for aerodynamic reasons, but for a good cosmetic facelift. BAE’s VP Avro Business Jeta Stewart Cordner highlighted that BAE’s work in the VIP sector is seeing it win more aircraft remarketing contracts. It announced it is remarketing eight A340-200s and -300s for GMT Global Republic, which previously leased them to major carriers. Stewart said while these are older aircraft, they are low time and would appeal to governments looking for VVIP versions. There was a surprise announcement from US helicopter manufacturer Sikorsky and its backer United Technologies with news it had decided to invest (with an undisclosed sum) to put the VLJ Eclipse and Eclipse Aerospace back into production. HondaJet’s distinctive looking large cabin light jet HondaJet may be a little delayed with its first flight milestone but the manufacturer was a huge crowd puller with its hourly demonstrations of ASIMO, the world’s most advanced humanoid robot which responded to spoken instructions. 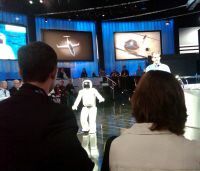 ASIMO can run, walk on uneven slopes and surfaces, turn smoothly, climb stairs, and reach for and grasp objects. Honda was demonstrating its expertise in innovation to highlight ASIMO's usefulness in the home – especially for elderly and people with special needs. It has taken ten years to get ASIMO to walk; now the company is working on its artificial intelligence. Visitor numbers for the three-day event were 5% up on 2009 at 24,206. Some 1,038 exhibitors took stands and the static line up at DeKlab Peachree Airport, a 30-minute coach drive away, showcased a record 93 aircraft. Boeing have introduced a full motion Thales 787 simulator at their Crawley (Gatwick) training centre, conveniently next door to Virgin Atlantic. It is one of four teaching sites around the world (the others being at Seattle, Singapore and Tokyo) and is a good indication of progress in this important aspect of airline operations. When the 777 was launched in 1984 all pilots, and for that matter senior cabin crew personnel, had to go to Seattle. Crawley includes an emergency door training device too. 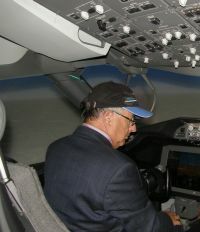 Technological advances in the development and design of the 787 Dreamliner have prompted new ways for flight and maintenance training for the aircraft. One of the objectives of the new training system is to replicate the aeroplane using a suite of electronic aids consisting of desktop simulation systems, flight training devices and full-flight simulators. 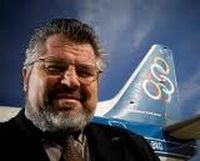 Swissport International, probably the world’s leading provider of ground handling services to the airline sector, is to have a new proprietor. Up to now it has been part of the Spanish Ferrovial portfolio, together with Britain’s BAA Ltd. The new owners are PAI partners, a Europe-based private equity group with no current aviation interest although a big player in the automotive industry. The company has its origins in a partnership between Paribas and BNP banks, but has long established itself as a leading independent private equity company. 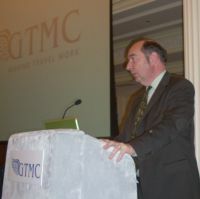 Norman Baker, Under Secretary of State for Transport (Liberal Democrat member for Lewis) was in a conciliatory mood when he addressed members of the Guild of Travel Management Companies (GTMC), at the newly re-launched (and very impressive) London Savoy last Monday. He said that he understood air travel with Gatwick within his catchment area, repeated the now familiar government line that Heathrow expansion was out for this Parliament, and used the latest ploy of Ministers, saying he would answer questions. After a short while he had to leave “due to urgent business in the Commons”. Members raised the ‘per plane tax’ question Mr Baker applying a ‘straight bat’. He said there was no way that the Transport Review could be brought forward. Alitalia (AL), not a carrier with much of a reputation for financial stability, has made a net profit of €39m between July and September this year. The figure is a €24m improvement on the same period in 2009. In terms of actual passenger numbers the Skyteam member carried 7.1m passengers between July and September, 11% up on last year. 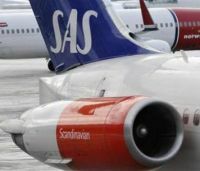 The airline confirmed it is on track to reach its operating break-even target by 2011, and has predicted better than expected full-year results for this financial year. The airline said recovery in demand, from both intercontinental and international markets, continues to be strong while demand within Italy is beginning to show signs of growth. TAM Airlines of Brazil has introduced on-board mobile communications through OnAir using on-board connectivity solutions. Based on the Inmarsat SwiftBroadband, the high-capacity operation it is now available to passengers travelling aboard TAM’s Airbus A321 operating between São Paulo’s Guarulhos Airport and Recife, Natal, Fortaleza and Porto Alegre. Via the OnAir service, passengers can make and receive phone calls, send and receive text messages and access the internet through GPRS networks from their own handsets. Up to eight passengers can use their mobile phones simultaneously on a flight with no limits on data or text messaging. Mobile phones will work in exactly the same way as in international roaming and are activated as soon as the aircraft reaches an altitude of 4,000 metres (13,000 feet). Usage will be charged directly by the mobile network provider to the passenger's phone bill at rates set by his or her usual provider. 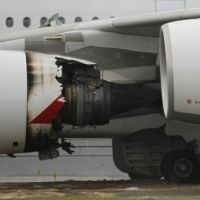 Australia's Qantas Airways hopes to have its fleet of six Airbus A380s flying again "within days" following urgent checks after an engine failure, Chief Executive Alan Joyce said over the weekend. He was optimistic that the aircraft would quickly return to service as two safety incidents on consecutive days overshadowed lavish celebrations to mark the airline's 90th anniversary this month. In a second incident on Friday, a Boeing 747 en route to Australia was also forced to turn back to Singapore. The two occurrences were not connected, each on a different type of Rolls-Royce engine. 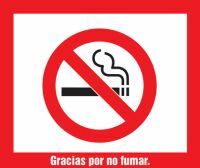 Spain remains one of the few EU countries which presently allows smoking in most public places, a surprise to visitors. Not for long, however. It is expected that a bill which prohibits the practice will pass through Parliament on 2 January 2011, but not guaranteed a safe passage.